Forging sustainable relationships within a supply chain, along with the conservation of established partnerships, can produce a positive impact on a bottom line as well. This will bring everyone involved in a related supply chain together to learn how their performance affects others. The positive bottom line impact from the resulting relationships and understanding could be huge. Merging green ideals with lean principles can have an impact far beyond raw materials, water and renewable energy. Forging sustainable relationships within a supply chain, along with the conservation of established partnerships, can produce a positive impact on a bottom line as well. That's why McClarin Plastics, a leader in thermoforming and vacuum infusion of fiber reinforced plastics, has coordinated a cooperative lean certification session for their employees, customers and suppliers. According to a study commissioned by the U.S. Environmental Protection Agency, suppliers in lean supply chains which deliver a component in the right quantity at the right time, share the benefits of reduced cost and waste reduction as well as a higher quality part. Furthermore, James P. Womack, Daniel T. Jones and Daniel Roos report in their book, The Machine that Changed the World, that many companies can only lean their operation by 25-30% if suppliers and customer firms are not similarly leaned. "Each segment of the supply chain must understand the others' needs. One kink in the chain can throw off the entire process causing waste and expense as well as excessive use of energy and raw materials," said Roger Kipp, vice president of marketing and engineering for McClarin Plastics in Hanover, PA. "This will bring everyone involved in a related supply chain together to learn how their performance affects others. The positive bottom line impact from the resulting relationships and understanding could be huge." McClarin Plastics formally adopted Lean manufacturing methodology in 2000 and has continually realized green benefits, in the form of space allocation, waste reduction, energy conservation and increased cash flow. Lean facility management has produced some of the most impressive results. While the company has tripled their sales volume since 2000, they've only increased their square footage by about 25%. This is due in part to the Lean Continuous Flow Work Cell concept wherein the complete production of a component occurs. This has resulted in 30,000 square feet of warehouse space freed and reallocated as production space because raw materials are delivered just-in-time directly to the work cell. This has reduced the need to expand or build a new facility, thereby conserving land and resources, in addition to the reduced man hours and energy that would have been needed to transport the component from one station to another. The U.S. EPA study also found that consistent product quality is a basic aspect of competitiveness, which affects cost and customer loyalty. When all members of a supply chain are operating under the same guidelines, i.e. lean, the end product presented to the purchaser is of a higher quality with timelier delivery and in some instances, lower costs. Whereas when the suppliers are not operating as a team, product defects escalate and costs compound due to added time, labor and space for rework and repair, material waste and disposal. This impacts both the environmental and fiscal bottom line as recurring defects and delivery delays can mean the loss of lucrative contracts and a more substantial eco-footprint. McClarin has seen increased product quality and expects to see even greater quality once their entire supply chain is practicing Lean. This translates to reduced waste from defects, overspray and scrap being sent to landfills. However, McClarin Plastics does recycle about 95% of any materials deemed recyclable. Energy is another area where Lean has produced green benefits. McClarin Plastics has leveled production activity to customer demand and has in turn lowered spikes in energy demand. In addition, the company manages machinery starts and stops around non-energy spike times. "We are anxious to share what we've learned about eco-responsibility through using Lean principles. Our hope is to get everyone in a supply chain operating on the same page so they too can realize the benefits," continued Kipp. "We've lowered overhead and increased cash flow which we've re-invested back into the company." The cooperative lean certification session is the first in the state and has multiple goals, including contributing to eco-friendly initiatives by reducing raw material consumption, energy and inventory. However, the main goal is to encourage the use of lean principles by all segments of a supply chain to reduce waste, human effort, manufacturing space and time which in turn will reduce supplier turnover and the costs - fiscal and human - associated with locating and training new suppliers. The training will be conducted by MANTEC, an Industrial Resource Center for small and mid-sized manufacturers in PA, between March 26 and June 24. There are 45 participants in this session, 20 from McClarin Plastics and 25 from their various suppliers and customers. McClarin Plastics custom designs and manufactures Thermoformed and Fiberglass Reinforced Plastic products and components. For over 50 years, they have helped local, national and international companies find creative solutions using plastics applications. 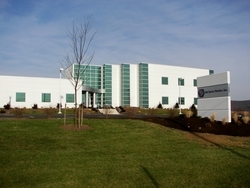 For more information, call 1-800-233-3189 or visit http://www.mcclarinplastics.com.